Thank you for your interest in sponsoring Ark Animals. If you target animal lovers, animal career seekers, pet parents, pet business owners, and other similar people or service providers AND you want to enhance your site or brand awareness, sponsorship is right for you. These prices are this low only for a short time! All prices are in USD. Payment is via PayPal. Benefits: Your box link is displayed on over 1000 individual pages targeting pet businesses, companion animal owners, pet lovers, and animal career seekers. This package includes one box link on every single page of this web site (over 1000 back links) including the main front page. The box link is placed down the right sidebar of the web site. Note: You will need to supply your own box link. JPEG and GIF are accepted and animation is permitted providing you can keep file size low. You may change your box link at any time but only once per billing cycle. This will auto bill monthly and you may unsubscribe at any time. Links will be removed at the end of the last billing cycle. Availability: Space for one sponsor available. Benefits: Your campaign is placed on all pages (over 1000) in all banner positions. Every visitor to the Ark Animals will be exposed to your campaign multiple times in different advertisement formats. This package is ideal for branding and directing traffic to your site. Note: You will need to supply your own box, tower, and banner. JPEG and GIF are accepted and animation is permitted providing you can keep file size low. You may change banners at any time but only once per billing cycle. This will auto bill monthly and you may unsubscribe at any time. Links will be removed at the end of the last billing cycle. What you get: Submit an article related to a pet or animal product, business, service to get a keyword link back to your site/blog. Word count of 500 to 1000 words. Must include a short author bio at bottom. Availability: Anytime but must be approved first. Benefits: The article should focus on a topic that can highlight your product, business, service or site/blog. You will receive one keyword in-text link, providing the maximum value in exposure and SEO benefits. Note: This article must be educational and useful to readers–it should not be promotional in nature. What you get: Submit your pet or animal related widget to get readers to participate and get a link back to your site/blog. Tower box should be width of 200 to 250 pixels. Maximum length is 400 to 600 pixels. Benefits: The widget should be something that can highlight your product, business, service or site/blog. You will receive a position on over 1000 pages providing the maximum value in exposure and SEO benefits. The position may be changed over time by blog owner for optimization. Note: This widget must be useful to readers and be animal or pet related. 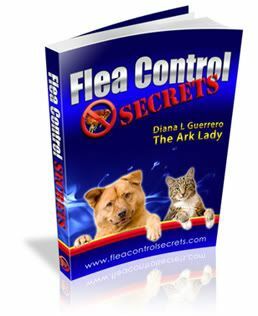 Contact the Ark Lady After making payment, please send through links to your banners (host them on your server), text link anchor text and URL(s) to link to, or the site you want reviewed, to Diana L Guerrero via email to advertising <at> arkanimals.com.